is a weekly podcast dedicated to tabletop roleplaying games and (mostly) related material. Viewed through the lens of immersive play, the table top gaming hobby takes on a new light with this show, led by the one and only, Prismatic Dragon. MetAnon Ep65 - All Aboard! MetAnon Ep 58 - How Big a Boy Are Ya? In our fifty-seventh regular episode of Metagamers Anonymous, the cast commemorates two full years of RPG podcasting, community involvement, and how it has affected their experiences at the game table. They compare notes about the sum of their experiences, discuss how it has affected them personally, and even delve into a fun bit of trivia regarding content from the first two episodes of the series. On April 5th, the Prismatic Tsunami web community and the cast of Metagamers Anonymous hosted yet another live event at The Burrow: Gifts for Geeks in East Wichita. It was an all-day miasma of tabletop gaming with gamers from in and around the area. As the evening drew to a close, the cast recorded a live podcast with the participation of the numerous players, GMs, and casual game enthusiasts in residence, discussing their games, drawing prizes, and generally having a good time. Afterwards, Erik and the ladies from Geek Chic sat down the next morning to discuss the event. Enjoy! In our fifty-sixth regular episode of Metagamers Anonymous, the cast discusses the challenges involved in maiming and disfiguring player characters and how it can affect the game. They also take a stab at the question of the disadvantage of immersive play styles to the indie gamer, toss out a new round of Tsunami City Project locations, and sit down for a brief discussion with Colin from Lone Wolf regarding the latest feature to grace the Hero Lab platform, their exciting new Encounter Builder. Metagamers Anonymous is a weekly podcast dedicated to tabletop roleplaying games and (mostly) related material. Join in the fun by posting comments or questions to our forum, or drop us a line atfeedback@prismatictsunami.com. In our fifty-fifth regular episode of Metagamers Anonymous, the cast discusses the immersive roleplaying opportunities afforded to survivors following the death of a colleague, how to remember fallen comrades and deal with their replacements, and ways that your characters can grow from the experience. They also take some time to further unpack some of the narrative discourse from the previous episode via a handful of listener emails. Metagamers Anonymous is a weekly podcast dedicated to tabletop roleplaying games and (mostly) related material. Join in the fun by posting comments or questions to our forum, or drop us a line at feedback@prismatictsunami.com. In our fifty-fourth regular episode of Metagamers Anonymous, the cast tackles the complex question of shifts in narrative control in immersive gaming, mulls over the division between roleplaying and story-driven gaming, and expounds on the traditional roles of player and GM. They also delve deep into the topic of roleplaying as a means of exorcising your inner demons. Metagamers Anonymous is a weekly podcast dedicated to tabletop roleplaying games and (mostly) related material. Join in the fun by posting comments or questions to our forum, or drop us a line at feedback@prismatictsunami.com. Metanon - Ep 53 - Coup, Coup, Cachoo! In our fifty-third regular episode of Metagamers Anonymous, the cast investigates the immersive opportunities of political gaming, talks a little bit about NPC and scenario presentation, and discusses their recent game sessions. They also take the time to answer some listener email. Metagamers Anonymous is a weekly podcast dedicated to tabletop roleplaying games and (mostly) related material. Join in the fun by posting comments or questions to our forum, or drop us a line at feedback@prismatictsunami.com. Metanon - Ep 52 - How Mas-LOW Can You Go? In our fifty-second regular episode of Metagamers Anonymous, the cast dives back into the psychological brain bin and drums up a discussion on applying Maslow’s Hierarchy of Needs to the art of character development. They also banter about the applications of thematic versus generic game systems, wax philosophical about indie gaming, and delve into the high concept of catharsis through roleplaying. It’ll mess with ya. Metagamers Anonymous is a weekly podcast dedicated to tabletop roleplaying games and (mostly) related material. Join in the fun by posting comments or questions to our forum, or drop us a line at feedback@prismatictsunami.com. Metanon - EP 51- You Will Respect My Authori-tie! In our fifty-first regular episode of Metagamers Anonymous, the cast talks up the immersive opportunities in playing characters with civic roles and responsibilities, the challenges of procedural investigation, and how investigative games differ from standard adventure scenarios. They also present another round of locations for the Tsunami City Project. Metagamers Anonymous is a weekly podcast dedicated to tabletop roleplaying games and (mostly) related material. Feel free to post any comments or questions to our forum, or drop us a line at feedback@prismatictsunami.com. In our landmark fiftieth regular episode of Metagamers Anonymous, the cast tackles the complex question of how to prepare for a new campaign, what to look for in a campaign pitch, and how to extrapolate genuine opportunities from an idea to help make a campaign successful. The cast also reads a couple of emails, talks about some exciting systems they’d like to try, and waxes predictably anecdotal about some of their recent gaming activities. Metagamers Anonymous is a regular podcast dedicated to tabletop roleplaying games and (mostly) related material. Feel free to post any comments or questions to our forum, or drop us a line at feedback@prismatictsunami.com. In our forty-ninth regular episode of Metagamers Anonymous, a panel of podcasting GMs take a meandering look at pacing, power creep, session prep, sandboxing, and reigning in overpowered characters. The cast also reminisces about last weekend’s GameDay event and sounds off on a couple of though-provoking listener emails. Metagamers Anonymous is a weekly podcast dedicated to tabletop roleplaying games and (mostly) related material. Feel free to post any comments or questions to our forum, or drop us a line at feedback@prismatictsunami.com. In our forty-eighth regular episode of Metagamers Anonymous, the cast tosses around the importance of character background and a few ways to make it more interesting. They also present the latest round of Tsunami City Project entries, talk up the upcoming Tsunami GameDay event, and discuss some of the new characters coming into the crew’s Pathfinder adventure. Metagamers Anonymous is a weekly podcast dedicated to tabletop roleplaying games and (mostly) related material. Feel free to post any comments or questions to our forum, or drop us a line at feedback@prismatictsunami.com. 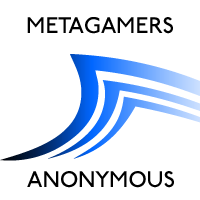 In our forty-seventh regular episode of Metagamers Anonymous – and our first of 2014! – the cast addresses a listener-submitted question about introducing new players to immersive gaming. They also chew over the latest tragedy to befall their own stalwart characters, including the bad taste it left in Erik’s big mouth, and announce the big, big winner of the 2013 Holiday Giveaway.Metagamers Anonymous is a weekly podcast dedicated to tabletop roleplaying games and (mostly) related material. Feel free to post any comments or questions to our forum, or drop us a line at feedback@prismatictsunami.com. In our forty-sixth regular episode of Metagamers Anonymous, the cast hosts a small holiday celebration with some games, a little Q&A, and some discussion about their recent gaming experiences. They also add yet another prize to the holiday giveaway and roll out some info on the network’s newest podcast, Geek Chic. Metagamers Anonymous is a weekly podcast dedicated to tabletop roleplaying games and (mostly) related material. Feel free to post any comments or questions to our forum, or drop us a line at feedback@prismatictsunami.com. In our forty-fifth regular episode of Metagamers Anonymous, the cast addresses a listener-submitted question about generating characters that fit the party and how to approach that part of the process. They also talk about some of the challenges associated with their firstPathfinder game, and talk about their upcoming post-apocalyptic foray in the New World of Darkness.Metagamers Anonymous is a weekly podcast dedicated to tabletop roleplaying games and (mostly) related material. Feel free to post any comments or questions to our forum, or drop us a line at feedback@prismatictsunami.com. In our forty-fourth regular episode of Metagamers Anonymous, the cast examines the conventional wisdom of not splitting the party… and talks about why we do it anyway, and how it works to our advantage. They also discuss their first impressions of their very first Pathfinder game session and offer yet another awesome prize for the2013 Holiday Giveaway! Metagamers Anonymous is a weekly podcast dedicated to tabletop roleplaying games and (mostly) related material. Feel free to post any comments or questions to our forum, or drop us a line at feedback@prismatictsunami.com. In our forty-third regular episode of Metagamers Anonymous, the cast spends a few minutes on the art of making memorable moments out of the RPG experience. They also talk baking, they briefly revisit this year’s Holiday Giveaway, and Erik sits down for a one-on-one with Jim Pinto of Post World Games regarding his upcoming Protocol Kickstarter. Metagamers Anonymous is a weekly podcast dedicated to tabletop roleplaying games and (mostly) related material. Feel free to post any comments or questions to our forum, or drop us a line at feedback@prismatictsunami.com. In the fifteenth episode of our interview series, Erik has an opportunity to visit with veteran writer and game designer Bruce Cordell. We talk about his work on Dungeons & Dragonsand other product lines over the years, delve into his recent employment with Monte Cook Games, and talk up The Strange, Bruce’s brand new sci-fi property built on Numenera‘s elegant, story-based Cypher System. Metagamers Anonymous is a weekly podcast dedicated to tabletop roleplaying games and (mostly) related material. Feel free to post any comments or questions to our forum, or drop us a line at feedback@prismatictsunami.com. In the fourteenth episode of our interview series, Erik first has a brief conversation with Stephen J. Holodinsky, event coordinator for this weekend’s free online gaming convention, Aethercon! We then examine the upcoming Corporia RPG from Mark Plemmons. 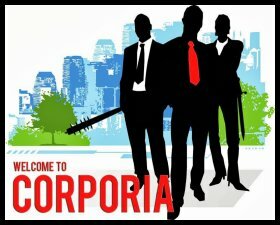 Erik and Mark cover the details of the Corporia Kickstarter, the game itself, and some of the challenges of self-publishing. Metagamers Anonymous is a weekly podcast dedicated to tabletop roleplaying games and (mostly) related material. Feel free to post any comments or questions to our forum, or drop us a line atfeedback@prismatictsunami.com. In our forty-first regular episode of Metagamers Anonymous, the cast wishes everyone a belated Halloween with an in-depth look at the trials and tribulations of horror in RPGs. They also announce the long-awaited 2013 Holiday Giveaway, provide some updates on community activities and the upcoming TsunamiCon, and offer a new round of spooktacular locations for the Tsunami City Project. Metagamers Anonymous is a weekly podcast dedicated to tabletop roleplaying games and (mostly) related material. Feel free to post any comments or questions to our forum, or drop us a line at feedback@prismatictsunami.com. In our fortieth regular episode of Metagamers Anonymous, the cast mulls over the challenges associated with effective presentation of characters at the table. They also chat about recent games, discuss the role that time can play as an effective campaign element, and reveal the winners of the Odyssey Quest contest. Metagamers Anonymous is a weekly podcast dedicated to tabletop roleplaying games and (mostly) related material. Feel free to post any comments or questions to our forum, or drop us a line at feedback@prismatictsunami.com. In our thirty-ninth regular episode of Metagamers Anonymous, Erik and Jonikka throw down on the topic of gaming with significant others. They also talk about the upcoming GameDay and take a few minutes to visit with The Bag Lady. Metagamers Anonymous is a weekly podcast dedicated to tabletop roleplaying games and (mostly) related material. Feel free to post any comments or questions to our forum, or drop us a line at feedback@prismatictsunami.com. In our thirty-seventh regular episode of Metagamers Anonymous, the cast anecdotally explores the complex challenges of introducing large-scale conflicts into an immersive RPG experience. They also talk briefly about the new Lords of Waterdeep expansion, mull over the story application of traps in RPGs, read some listeners emails, and visit with one of the locally infamous D20 Girls about an upcoming charity event. Metagamers Anonymous is a weekly podcast dedicated to tabletop roleplaying games and (mostly) related material. Feel free to post any comments or questions to our forum, or drop us a line atfeedback@prismatictsunami.com. In the thirteenth episode of our interview series, we sit down for an in-studio discussion with programmer Riley Duttion from Roll20.Net. Erik and Riley discuss the success of the virtual tabletop program, the ins and outs of online gaming, and his recent trip to GEN*CON to pick up an ENnie! Metagamers Anonymous is a weekly podcast dedicated to tabletop roleplaying games and (mostly) related material. Feel free to post any comments or questions to our forum, or drop us a line atfeedback@prismatictsunami.com. In our thirty-sixth regular episode of Metagamers Anonymous, the cast mulls over the challenges and techniques associated with cinematic game play. They also promote the next GameDay, present a mad-lib GEN*CON report, and present the latest locations for the Tsunami City Project. Metagamers Anonymous is a weekly podcast dedicated to tabletop roleplaying games and (mostly) related material. Feel free to post any comments or questions to our forum, or drop us a line at feedback@prismatictsunami.com. In our thirty-fifth regular episode of Metagamers Anonymous, the cast dives into the pros and cons of urban campaigns. They also talk a little about the last GameDay, discuss some of their recent games, and touch on the challenges of using in media res as a storytelling device in RPG scenarios. Metagamers Anonymous is a weekly podcast dedicated to tabletop roleplaying games and (mostly) related material. Feel free to post any comments or questions to our forum, or drop us a line at feedback@prismatictsunami.com. On August 3rd, the Prismatic Tsunami web community and the cast of Metagamers Anonymous hosted yet another live event at The Burrow: Gifts for Geeks in East Wichita. It was an all-day miasma of tabletop gaming with gamers from in and around the area. As the evening drew to a close, the cast recorded a live podcast with the participation of the numerous players, GMs, and casual game enthusiasts in residence, discussing their games, drawing prizes, and generally having a good time. We also handed over the collected donation for our recent charity drive live on the air. In our thirty-fourth regular episode of Metagamers Anonymous, listenter Ken “SelectStriker2″ joins the cast to discuss tools, devices, and sources of inspiration that can assist with the immersive play process. They also talk about the upcoming GameDay event, announce another great contest, and provide a new set of fun locations for the Tsunami City Project. Metagamers Anonymous is a weekly podcast dedicated to tabletop roleplaying games and (mostly) related material. Feel free to post any comments or questions to our forum, or drop us a line at feedback@prismatictsunami.com. In the twelfth episode of our interview series, we reconnect with writer/blogger/friend of the show Phil Vecchione of Gnome Stew and Engine Publishing. Erik and Phil explore Engine’s newest product, Odyssey, and wax anecdotal about gaming, blogging, and Fate Core. Metagamers Anonymous is a weekly podcast dedicated to tabletop roleplaying games and (mostly) related material. Feel free to post any comments or questions to our forum, or drop us a line atfeedback@prismatictsunami.com. MetAnon Ep33 – Et Tu, Brute? In our thirty-third regular episode of Metagamers Anonymous, the cast discusses the art of inter-party intrigue and betrayal as a tool for creating drama and story development in play. They also take a look at some of the challenges they’ve encountered with Savage Worlds, talk about Anime Fest Wichita and the upcoming Tsunami GameDay event, and spend a little time with some listener emails. Metagamers Anonymous is a weekly podcast dedicated to tabletop roleplaying games and (mostly) related material. Feel free to post any comments or questions to our forum, or drop us a line at feedback@prismatictsunami.com. Links from the show to be added. Please support us by taking a few short minutes to fill out the 2013 RPG Podcast Listener Survey! 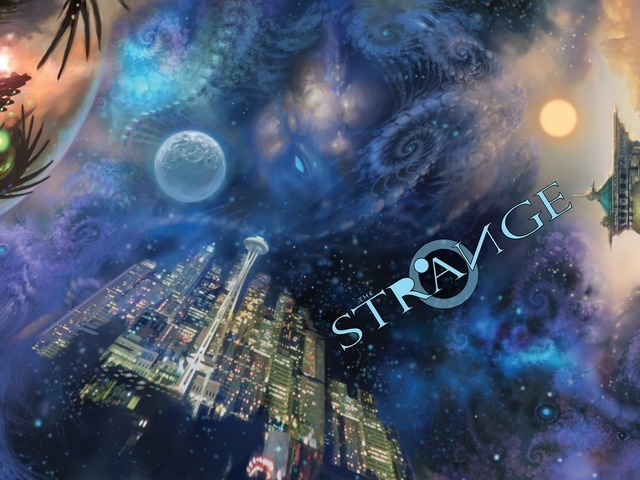 In our thirtieth regular episode of Metagamers Anonymous, the cast discusses the details of one of the group’s newest campaigns, with a close look at character development, dramatic tools, and the art of integrating story development into a published scenario. The panel also discusses their recent gaming experiences, spends a few minutes on Gears of War: Judgment, and Erik visits with Ryan Nock of EN Publishing regarding their new Kickstarter promotion. Metagamers Anonymous is a weekly podcast dedicated to tabletop roleplaying games and (mostly) related material. Feel free to post any comments or questions to our forum, or drop us a line at feedback@prismatictsunami.com. In our twenty-ninth regular episode of Metagamers Anonymous, the regular cast reconvenes to discuss character flaws and how to use them to grow and develop your PC. The panel also discusses their recent gaming experiences, some new and upcoming products, and how to sew drama into any character’s play experience.Metagamers Anonymous is a weekly podcast dedicated to tabletop roleplaying games and (mostly) related material. Feel free to post any comments or questions to our forum, or drop us a line atfeedback@prismatictsunami.com. On May 18th, the Prismatic Tsunami web community and the cast of Metagamers Anonymous hosted yet another live event at The Burrow: Gifts for Geeks in East Wichita. It was an all-day miasma of tabletop gaming with gamers from in and around the area. As the evening drew to a close, the cast recorded a live podcast with the participation of the numerous players, GMs, and casual game enthusiasts in residence, discussing their games, drawing prizes, and generally having a good time. In our twenty-seventh regular episode of Metagamers Anonymous, the cast discusses the phenomenon of derailment, sharing their own experiences and those of friends and listeners with players seriously derailing the game, for good or ill. They also talk about Jonikka’s very first game session from behind the screen. Metagamers Anonymous is a weekly podcast dedicated to tabletop roleplaying games and (mostly) related material. Feel free to post any comments or questions to our forum, or drop us a line at feedback@prismatictsunami.com. In the eleventh episode of our interview series, we visit with veteran game designer Jim Pinto from Post World Games. Erik and Jim sit down for a fun, casual conversation about gaming philosophy, Jim’s personal experiences in the creative industry, and his new Kickstarter campaign! Metagamers Anonymous is a weekly podcast dedicated to tabletop roleplaying games and (mostly) related material. Feel free to post any comments or questions to our forum, or drop us a line at feedback@prismatictsunami.com. In our anniversary episode of Metagamers Anonymous, the cast discusses the application of story arcs and how to develop them over the course of the game, offering tips for both players and GMs looking for ways to encourage character growth and investment. They also discuss William’s recent 40K RPG exercise, offer up yet another volume of the Tsunami City Project, and give Jonikka a chance to pitch her first game. Metagamers Anonymous is a weekly podcast dedicated to tabletop roleplaying games and (mostly) related material. Feel free to post any comments or questions to our forum, or drop us a line atfeedback@prismatictsunami.com. In the tenth episode of our interview series, we visit with Micah from Obsidian Portal about his excellent website and their current Kickstarter campaign. Then Erik and Jonikka spend some time with Shaun and Liz Duncan of Game Strategies Institute talking the ins and outs of convention games and the challenges of immersive gaming with different groups of players. Metagamers Anonymous is a weekly podcast dedicated to tabletop roleplaying games and (mostly) related material. Feel free to post any comments or questions to our forum, or drop us a line at feedback@prismatictsunami.com. MetAnon Ep25 – I’m a PC! In our twenty-fifth regular episode of Metagamers Anonymous, the cast discusses the challenges related to getting in character and staying in character, offering tips and tricks to help bridge the gap between sessions and maintain a consistent sense personality and presence. They also draw their winner for the Spring Giveaway and talk about the Tsunami community’s recent and upcoming events. Metagamers Anonymous is a weekly podcast dedicated to tabletop roleplaying games and (mostly) related material. Feel free to post any comments or questions to our forum, or drop us a line at feedback@prismatictsunami.com. In the ninth episode of our interview series, we discuss the illustrious career of Green Ronin Publishing‘s own Chris Pramas. Erik and Chris touch on life as a game designer, the challenges of starting a fledgling company at the onset of the D20 movement, and the ridiculous array of products available from Chris’s company! They also go over the Freeport Kickstarter campaign with a fine-toothed comb. Metagamers Anonymous is a weekly podcast dedicated to tabletop roleplaying games and (mostly) related material. Feel free to post any comments or questions to our forum, or drop us a line at feedback@prismatictsunami.com. On March 16th, the Pristmatic Tsunami web community and the cast of Metagamers Anonymous hosted a live event at The Burrow: Gifts for Geeks in East Wichita. It was an evening of tabletop gaming with gamers from in and around the area. As the evening drew to a close, the cast recorded a live podcast with the participation of the numerous players, GMs, and casual game enthusiasts in residence, discussing their games and generally getting acquainted. In our twenty-fourth regular episode of Metagamers Anonymous, the cast discusses the numerous thematic variations that can bend and twist a typical science-fiction setting. They also wax philosophically about the Warhammer 40K RPG universe, talk about their recent games, and introduce another round of locations for the Tsunami City Project. Metagamers Anonymous is a weekly podcast dedicated to tabletop roleplaying games and (mostly) related material. Feel free to post any comments or questions to our forum, or drop us a line at feedback@prismatictsunami.com. In our twenty-third regular episode of Metagamers Anonymous, the cast touches on the intricacies of PC psychology, exploring the potential applications of strong pscyhological conditions and traumatic experiences. They also introduce the program’s newest seasonal giveaway and take a few moments to promote upcoming community events. Metagamers Anonymous is a weekly podcast dedicated to tabletop roleplaying games and (mostly) related material. Feel free to post any comments or questions to our forum, or drop us a line atfeedback@prismatictsunami.com. In the eighth episode of our interview series, we sit down for a casual conversation with veteran podcaster Stu Venable of the Happy Jacks RPG Podcast. Erik and Stu talk gaming, podcasting, Google Hangouts, convention games, Savage Worlds, and more! Metagamers Anonymous is a weekly podcast dedicated to tabletop roleplaying games and (mostly) related material. Feel free to post any comments or questions to our forum, or drop us a line at feedback@prismatictsunami.com. MetAnon Ep22 – Is That a Magic Missile in Your Pocket…? In our twenty-second regular episode of Metagamers Anonymous, the cast goes deep on the subject of PC relationships and how they can affect characterization and immersive play. We also talk about our most recent gaming experiences and introduce the latest round of locales for the Tsunami City Project! Metagamers Anonymous is a weekly podcast dedicated to tabletop roleplaying games and (mostly) related material. Feel free to post any comments or questions to our forum, or drop us a line at feedback@prismatictsunami.com. In our twenty-first regular episode of Metagamers Anonymous, the cast discusses tips for successfully roleplaying characters with a high disparity between their appearance and their personality. We also talk about our recent experiment with Deathwatch and Dark Heresy, share some of the latest listener feedback, talk a little bit about our new magazine, and discuss some of the current Kickstarter projects we support! Metagamers Anonymous is a weekly podcast dedicated to tabletop roleplaying games and (mostly) related material. Feel free to post any comments or questions to our forum, or drop us a line atfeedback@prismatictsunami.com.